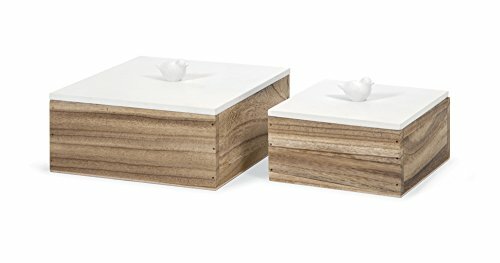 Mochrie Lidded Boxes, Set of Two--The perfect space to stash small treasures from old tickets to jewelry, the Mochrie Lidded Boxes by IMAX are handcrafted of wood. The bases are finished in a neutral stain that highlights the woods natural beauty, while the lids are done in a crisp contrasting white and topped with charming bird finials. We include two boxes in the set, the smaller of the pair measures three 3/4 inches high with a six inch diameter, and the larger measures four 1/4 inches high with an eight inch diameter. Care instructions: Dust with a clean dry cloth. This item has been finished by hand with exemplary detail. There will be slight variations in size, color and texture. These variations are a reflection of the authenticity of the piece and signal the originality of the artisan. Brought to you by IMAX- One source, a world of choices. 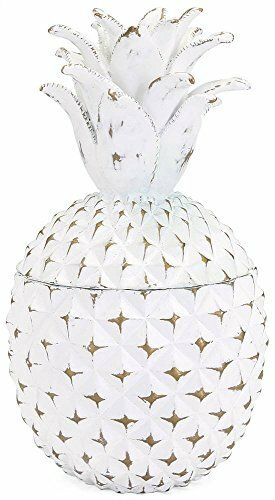 Keely marble lidded box -this gorgeous keepsake box has been hand-carved of pure marble and then topped with mango-wood . An exquisite item that would make an extraordinary gift! the box measures three 1/2 by fifteen by 5 3/4 inches. Please be aware that as each is entirely handmade no two will be exactly alike. There will be slight variations in size, finish, color and texture. These variations are a reflection of the authenticity of the piece and signal the originality of the artisan. Care instructions: dust with a clean dry cloth. Brought to you by IMAX- one source, a world of choices. 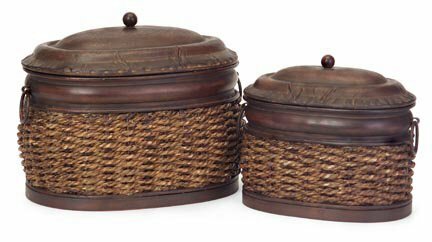 Rattan/Metal Lidded Boxes - Set of 2, Store your smaller accessories inside these raw yet refined containers as they add rustic charm to your home. Set contains two lidded baskets. 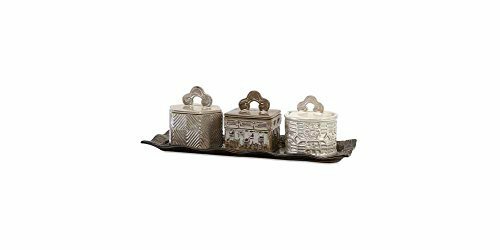 Zeller Lidded Boxes with Tray - Set of 3 -- Neutrally glazed trio of ceramic boxes atop a tray. Each has a different pattern and color way but they coordinate beautifully. No two are alike due to the handmade nature of the item. Care: Wipe with a clean, soft cloth. From IMAX- One source, a world of choices. Add a touch of Modern-Scandia to your decor with the Becker Small Lidded Box. 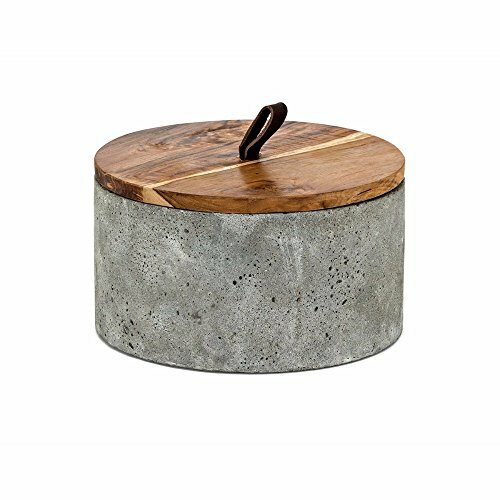 Handcrafted concrete forms the body and the teakwood lid is accented by a leather loop for a handle, creating a sophisticated combination of textures. 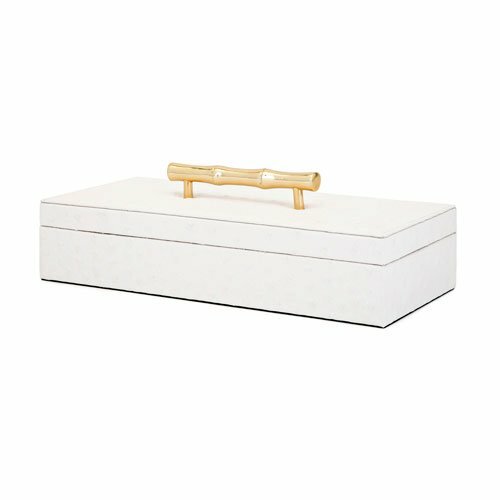 The boxes come in 2 different sizes to accommodate a variety of contents in style. 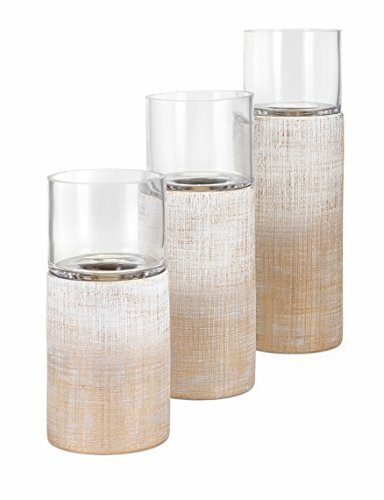 Our arya candleholders are made out of ceramic, highlighted by a linen texture and metallic glaze details. Glass candle cups are closed, allowing them to also hold small blooms. 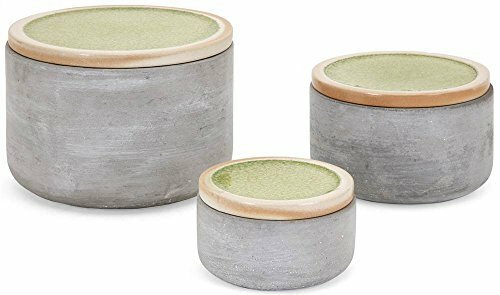 Each of the three cement boxes included in this set is highlighted with a green, crackle finish lid, making them excellent storage pieces or simply decorative objects. Transitional or contemporary style. White ostrich textured faux leather. Finished with a sleek gold bamboo shaped handle. Black flannel lining gently stores favorite jewelry or mementos. The perfect storage piece for bedroom, office or living spaces. Great way to store remote controls. Made from 5% resin, 10% flannel, 40% MDF and 45% PU. Made in China. 12.75 in. L x 5.75 in. W x 4.25 in. H (1.47 lbs.). 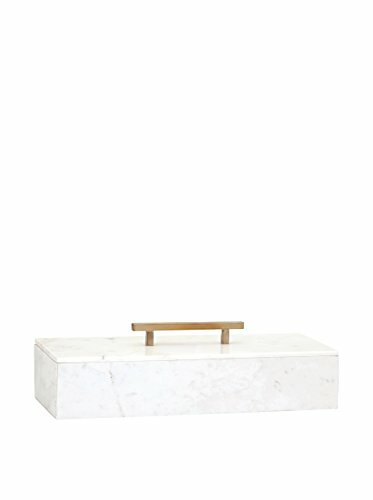 Looking for more Imax Lidded Box similar ideas? Try to explore these searches: Vanity Stainless Sink, Dog Hound Pet Animal, and Blue Pvc Cards.